I have just been out to my worm farm and noticed on the outside that heaps of worms were trying to get out and when I opened it all the worms were on the top and not moving much and it is a bit smelly. Last week I forgot to put the top on the farm for half a day but it wasn't very sunny. I also gave it water 2 days ago. The worms have been very active and healthy up until now - very upsetting what should I do? Just to recap you said that the worms are escaping, the lid is off, you just watered it, and the bin smells bad. I don't know what system you have. I know the Can-O-Worms is popular in New Zealand. I don't know what type of worms you have either. So I will base my answer on the typical composting worms like the Red wiggler or European Nightcrawler. You are just going into the winter so if you have African Nightcrawlers then I'd suggest bringing them in now as they like temps much warmer. Your bin is smelly so it probably has too much food (kitchen/garden scraps). I just sent out a newsletter that talked about this very thing. We always tend to overfeed the worms kitchen scraps(nitrogen source) foods and not enough carbon source foods like dead leaves and shredded paper/cardboard products. The bin also is probably too wet and too acid from the nitrogen sources. This will also smother any oxygen from penetrating through the bedding. If you have chunks of kitchen scraps then remove only what you can and add plenty of shredded paper products or dead leaves or coco coir. You can also add some agricultural lime or ground eggshells to bring the PH level up. A foul smelling bin is always a sign that there is too much nitrogen sources. Remember that 100% carbon IS worm food and treat everything else like a dessert and only feed in a corner. When they have finished it then feed some more but they will do very well eating only their bedding. Now your climate is getting colder. Take Wellington for instance, 57 F. or 14 C. is getting on the low side. They like it around 60-75 F. or 16-24 C.
If you are wanting maximum production you need to bring them indoors or to a warmer place. If left out in the freezing then they will die. They are composting worms and not earthworms. Hope this helps for now as I don't know your setup. I have a question about something you said in you last post. You said the worms will do fine just eating the bedding. And here I thought they needed some kind of kitchen scraps to eat. So let me get this straight, as long as they have lots of coco, paper, cardboard, and or, peat moss, they don't need anything else to eat? And here I've been cooking up all kinds of food for them from my kitchen thinking they need it to live well. I do give them egg shells and coffee grounds also. I have a lot of bedding in the bin right now from the original order of 250 ENCs and a second batch of 1000 RWs I just put in Saturday. I didn't order the RW but they fell in my lap so I put them in the bin also. So I'm now going to stop feeding them anything until I see the bedding disappear which might be some time as I have so much in there. Is there such a thing as TOO much bedding that would cause the worms to be uncomfortable? I don't want anyone to get me wrong or misunderstand what I'm trying to say. One can feed their worms nothing but coffee or nothing but bananas but it's a process to get up to that point. 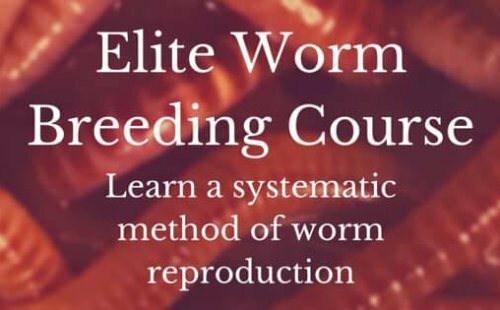 But it's also something that is not needed in order for your worms to live well. I always try to point my readers back to nature and worms simply don't just feed on one type of food or food source (as in the case of nitrogen). As a matter of fact their diet, in nature, consists of mostly carbon sources and then the occasional fruit that may fall from plants and trees. Worms will consume an entire pile of dead leaves. This is CARBON and maybe small amounts of nitrogen but still overwhelmingly carbon. This was why they were created. They do an enormous amount of clean up by eating all the dead leaves, grass, trees, weeds etc. Most problems are from when people add too much nitrogen. It contains high moisture and is more acidic. Oxygen cannot penetrate it therefore worms will not either, causing it to stink and attract other unwanted creatures that do prefer the stink and high moisture content. I am as guilty as everyone else for selling the whole kitchen scrap and junk mail aspect of worm food. But that's only to show people what worms CAN eat. I feed my worms plenty of manure and carbon and the occasional fruit or veggie because they DO love the sugars and starches. It will also raise the ph and NPK ration but that's a whole other topic. It's not complicated. WE are the ones that always make it complicated. So the best approach is to start with plenty of carbon and then introduce little bits of kitchen scraps at a time. If they consume it very quickly then you can add more when you see it almost gone. Not everyone's worms or worm systems are the same so telling everyone to start with just carbon or mostly carbon will almost guarantee smooth sailing from day one.